Moving forward to 2011, it looks like we’re in a similar “catch-up” position. Russia is greatly expanding its space program and is considering investing $7 billion to build a base on the Moon as part of a plan to send a mission to Mars. China’s Lunar Exploration Program has announced its intention to mine the Moon for the substance Helium-3, and the Russian government has made similar statements about its wish to harvest it. While Kennedy exhorted Americans to throw their support behind the government’s efforts to reach the Moon, President Obama has made it clear that this job now belongs to private enterprise. In his 2011 State of the Union speech, he referred to this generation’s “Sputnik moment” — that is, the realization that a foreign superpower could usurp our economic leadership position. The president has indicated that the private sector should take over the job of Moon exploration, so now’s the time to use private enterprise know-how to tap into resources beyond those of the Earth. There have been some steps in the right direction. NASA has committed $30 million to buy information that is gleaned from future missions to the Moon; the money has been contracted to six teams who are also competing for the Google Lunar X PRIZE, managed by the X PRIZE Foundation. That’s a good beginning, but government and private enterprise need additional mechanisms to find funding, and make government expenditures for data worth the investment. 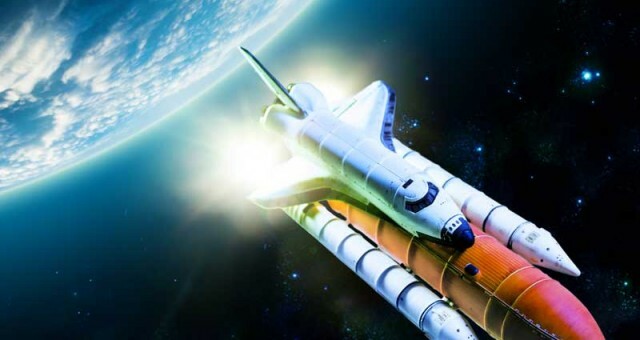 As Obama has logically said, NASA’s mission should focus on exploring deep space, and private companies should take on the task of building ships to carry cargo and passengers to the International Space Station, and to the Moon. Rocket companies can get in on this market, as can mining companies. The time may be right to think about going to the Moon as a business rather than a hobby. That’s the goal of Moon Express, a new company of which I am a cofounder. We’re working on building vehicles that can deliver payloads to the Moon and search the lunar surface for precious materials. Why does this discussion of space exploration matter now, especially at a time when so many problems demand our attention here on this planet? Are we trying to go back to the Moon just because we can or is there a benefit to the world in lunar exploration? The answer is the latter. Moon exploration promises to yield new energy sources that could finally break our hold on fossil fuel, and our overdependence on sometimes hostile nations that control its supply. But this time around, we don’t need to rely on government funding to fuel Moon exploration — we can encourage private entrepreneurs to take on this role. The value in Moon exploration comes in part from the presence of valuable resources such as Helium-3, a source of energy that is rare on Earth but is abundant on the Moon. It can “generate vast amounts of electrical power without creating the troublesome radioactive byproducts produced in conventional nuclear reactors,” a Popular Mechanics article explains. In addition, platinum is present on the Moon, and could be mined for use in energy applications, where it is a key catalyst for fuel-cell vehicles. If China and Russia succeed in their goals to obtain Helium-3 and other rare resources for the development of energy, the U.S. could end up relying on these countries for its own energy needs. That’s a tricky thing from a political standpoint: What happens if our relations with these countries turn sour? What happens if Russia and China decide to severely restrict the sale of Helium-3 to other countries, which will drive prices sky-high? We’ll be in the same boat that we’re in now, where we are beholden to oil-rich countries that are often in turmoil. However, if we allow private enterprise to explore and take advantage of the Moon’s resources, we may set ourselves on the road to energy independence. To re-launch our space program, we need private enterprise to step into the void. Government funding only needs to take us to the point where the technology has been developed to get us to the Moon — and we already have that. It’s a model that’s been used successfully in the past: the military first developed the Internet, and private enterprise then seized on its commercial potential; the same thing occurred with GPS technology. Naturally, there are barriers to entrepreneurs leading the charge to the Moon. For one thing, ownership is always a point of discussion — but the fact is that “everyone” and “no one” owns the Moon. Much like when mining resources from international waters (as in fishing), entrepreneurs would need to respect the rights of other business and government players. There is legal precedent for explorers finding and keeping resources that they have uncovered via private investment. There’s also the question of whether we can transport resources from the Moon in a cost-effective manner. Perhaps the cost of rocket launches — by far the greatest expense for a Moon mission — will come down as more entrepreneurs move into this market, or new technology will make them cheaper. It’s even possible to create rocket fuel from resources on the Moon, which would slash return costs and even lower launch costs from Earth. On the other hand, mining and transporting these resources back to the Earth could depress prices as supplies grow, making such ventures less appealing to entrepreneurs. As with all private market endeavors, many will want to take a wait-and-see approach to the Moon’s market potential. But therein lies the opportunity for early movers who apply entrepreneurship to the opening of whole new markets, and in the case of the Moon, a whole new world.